It is the last contribution this year. 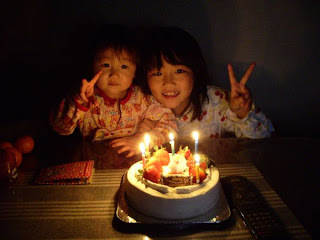 It was possible to talk with the person through this blog this year and I could have many friends!! I wish to express my gratitude to everyone. Please talk with me through the stitch next year. Thank you for one year for this year. 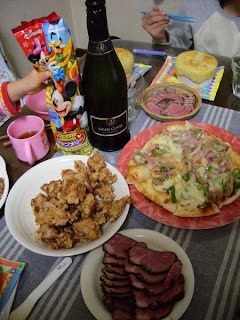 From yesterday,My son’s friends are stays at my home. The school is a winter break now. Are they played game(“Wii” by Nintendo) till a late hour . 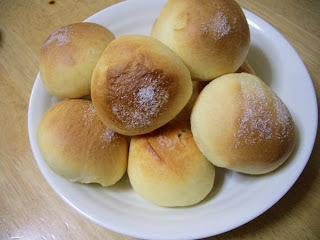 I baked bread in daytime. 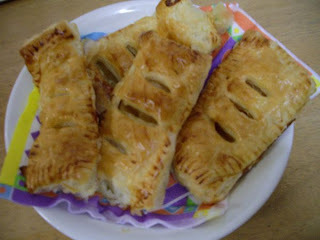 It is Apple denish. One apple, sugar, and water are condensed, and it places it between the pie. I love bread!! !And　I like to make bread. Then..My son went to stay it friends home! 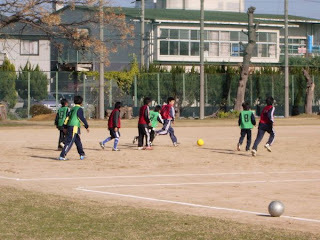 The son is learning it besides soccer team of the school. It was a practice in a place different from always today. I see him there by car. 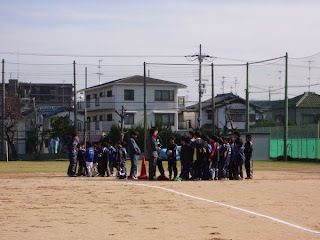 It is the last practice this year. I who is looking at everyone very happily seem am happy, too. 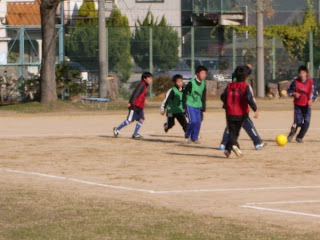 Ryohei wears shorts and blue socks. I am not good at cooking. 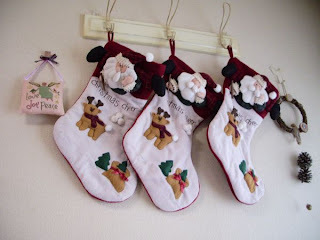 However, ･･･ Christmas. I challenged for the first time. However, it kept good. It has beaf stew in the inside. And, it covers with the pie. And, the pizza is burnt, and the fried-chicken the request of children. 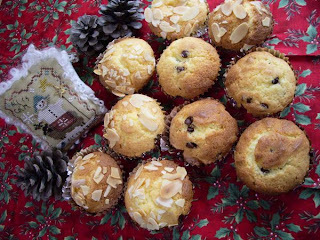 It might be cake that everyone look forward most. Cake was bought. Strawberry and Chocolate and Santa have gotten on. 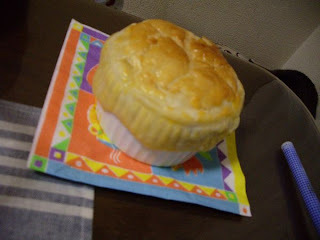 It was very delicious!!!! Wishing you and family Merry Christmas! I recieved Christmas Exchage from Debby on Today!!! I’m exciting and open her package! 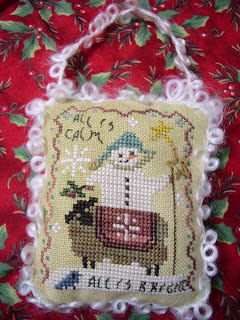 This design is “All Is Calm 2007 Snowman Ornament” of Homespun Elegance pattern. And she used with Gentle Arts Sampler threads and Weeks Dye Works hand dyed threads and vintage linen.Her stitch is perfect !!!! 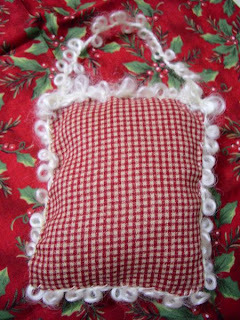 Back fabric is cute,too!I like red check fabric. And White trim is so great! and lovely!!! Please look at lovely Snowman’s face! 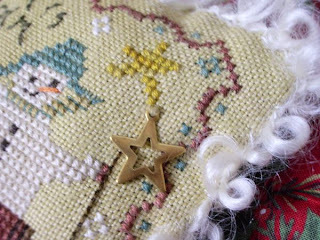 !and mini star! 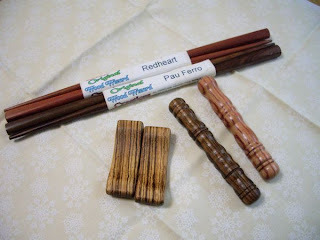 These are presents from her husband “Jerry” to me and my husband. 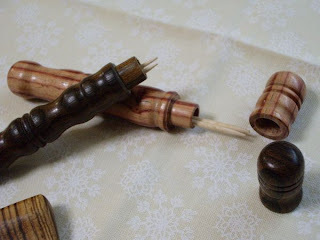 Chopsticks(Japanese “HASHI”) and Chopsricks stand ,toothpicks. 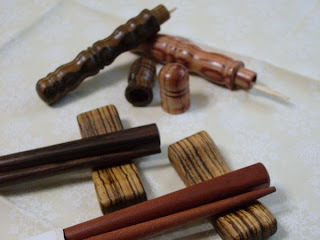 Him wood making is so great!Wonderful!Beautiful!! I think that it is very delicate work. Jerry has HP and sells chopsticks. Thanks soooooooooo much Jerry and my friend Debby!! 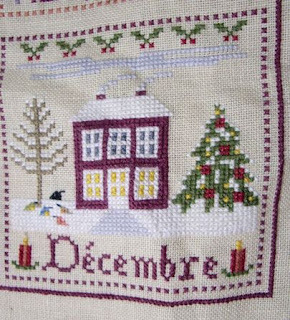 At last I was finished entirely from January to December. However, I do not do a stitch of the frame of all designs. If it is over, I will take a whole photo and update! Children wait for Santa for pleasure!! !